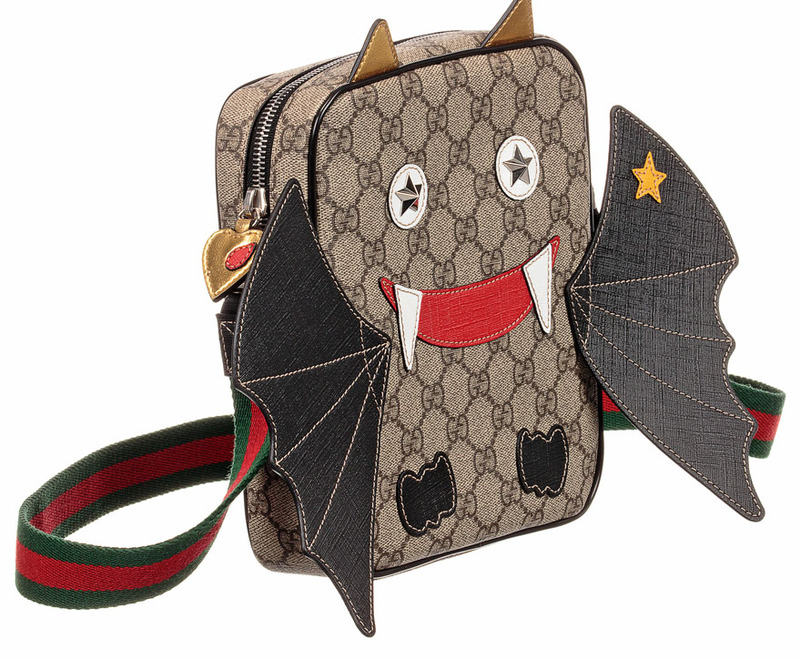 Unisex beige GG logo Gucci cross body bag with a fun bat face and black wings. It is made from supreme canvas, a material with low environmental impact and fastens with a zip. It has a canvas shoulder strap in the green and red web. 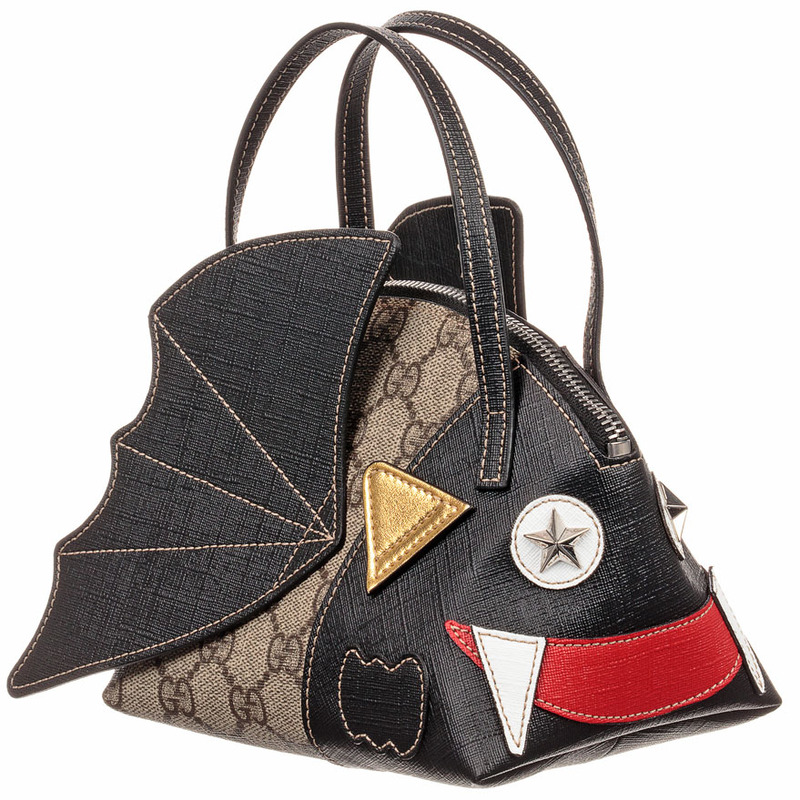 Girls black and beige bat wing bag from luxury designer Gucci. Made in GG supreme canvas, a material with low environmental impact. It has double handles and metal star stud eye details. Lined in lightweight satin, with an internal pocket and a zip fastening. 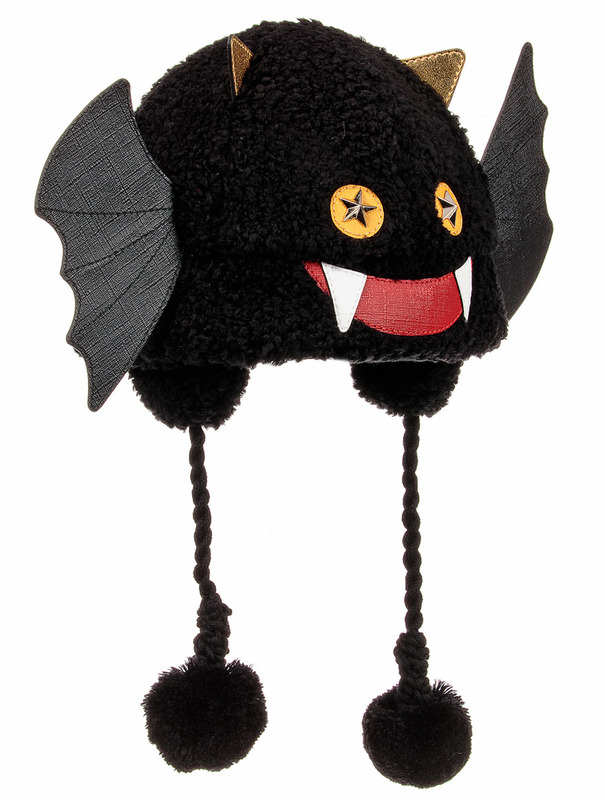 A fun black bat hat by luxury brand Gucci, with metal star eyes and supreme canvas wings and face. 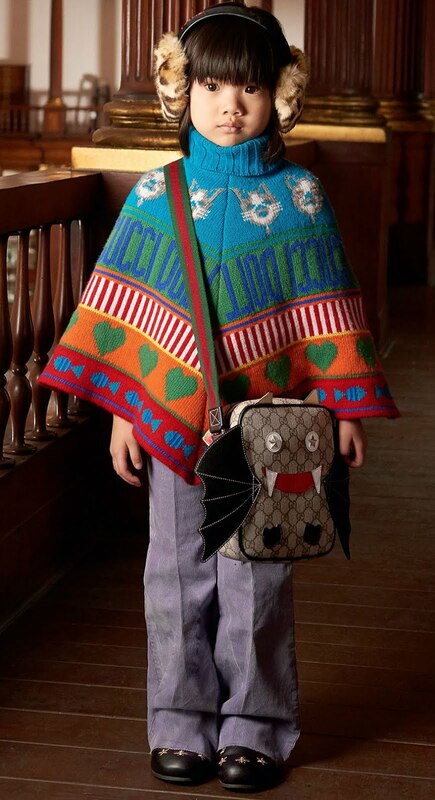 It is made in tufted fleece, lined in cotton and has wool pom-poms on the little ear flaps.